When you put yourself in the experienced hands of Merit Co., a long-established and highly regarded hometown real estate agency in Colorado with a thorough knowledge of the local Colorado Springs housing market, you get results. Merit Co. understands when it comes to selling your house in Colorado Springs there are two critical things you need to consider; pricing and exposure. In order to sell your house you have to price it right. 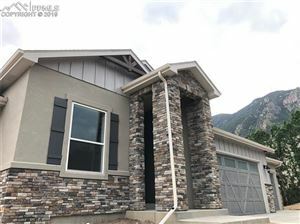 We can help you by providing a free extensive report on local Colorado Springs market conditions, latest comparables in your area, and assist you with evaluating your needs and time-frame for selling your home. This will help you come up with a selling price that is right for the Colorado housing market and your time-frame. You also need to expose your home to the largest number of possible buyers.Don’t just put a sign in front of your home...put your home in front of the world. The more exposure the better. We leverage the power of the internet and social media to maximize the exposure of your house to home buyers. First impressions make a significant impact on a buyer's decision making process! Once your home goes on the market it becomes a product. We will make a plan to highlight the best features of your home and de-emphasize its flaws. It's about turning your home into a model and to appeal to the broadest range of prospective buyers. 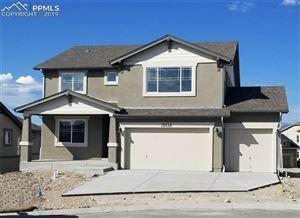 Merit Co. understands buying a home in Colorado Springs is an exciting and complex adventure. It can also be a very time-consuming and costly one if you're not familiar with all aspects of the process, and don't have all the best information and resources at hand. One of our specialties is representing the best interests of Colorado Springs area buyers as well as families relocating to Colorado Springs, throughout the home buying process. Our comprehensive, high-quality services can save you time and money, as well as make the experience more enjoyable and less stressful. If you're like most people, buying a home is the biggest investment you will ever make. So whether you're buying a starter home, your dream home or a Colorado Springs investment property, why not take advantage of our experience as a local market expert for Colorado Springs and surrounding areas to make the most informed decisions you can, every step of the way? When it comes to property management, Merit Co has one mission: To simplify Colorado investment property ownership and maximize property value for our clients. Many of our property management clients work full time, enjoy spending time with their families and even take the occasional vacation. Several of our clients are active duty or retired military families who have been relocated outside of Colorado Springs and engage our services as a cost-effective solution to keep their current home as an investment property. Our professional full-service Colorado Springs property management services allow our clients to reap the benefits and rewards of owning Colorado investment property while avoiding the headaches of being a landlord.